Most of you must have landed on a few YouTube videos which would show you the “ Video not available in your country” message. 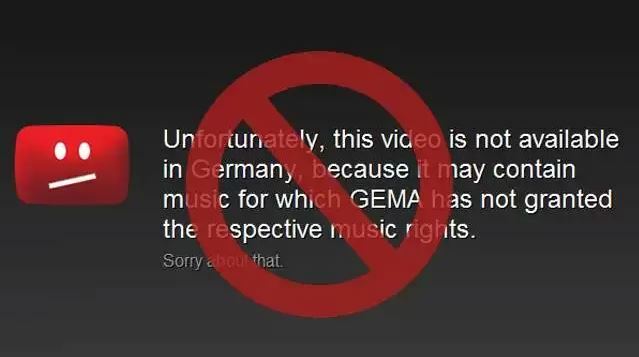 This is something that happens usually with music videos. To be precise Its not YouTube that’s blocking videos, actually it is the content owner or uploader who is doing so. When a content uploader blocks a YouTube video for specific geographical location, YouTube relies on the IP addresses of the viewers to identify their country of residence and then YouTube show a “ video not available in your country “ message on that particular video. However if you are hell bent of watching YouTube videos which are blocked in your country I will show you one of the easiest methods to do so. Usually you can make use of a proxy server to view YouTube videos which are blocked in your country. But the problem is, since we don’t know the countries in which a particular YouTube video is blocked, you will have to keep on changing proxy servers until you can access the video. If you don’t want to face all these hassles, you can simply make use of a free extension for Google chrome called Hola, that will help you to quickly switch between multiple proxies. Hola is available for all major web browsers including Google chrome and Firefox, but for the best experience I would suggest you to use it with Google chrome. If you are using Google chrome as your primary web browser, the instructions below will show you how to access YouTube videos blocked in your country using Hola. Step 1: Install the Hola extension on Google chrome from the link provided at the bottom of this page. Step 2: Once the extension is installed, it would appear as a icon on Chrome’s extension bar. Step 3: Now when you land on a YouTube video that is blocked in your country. 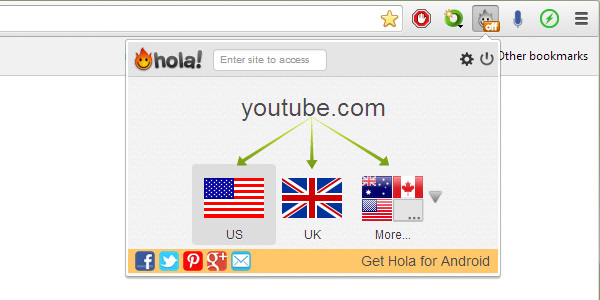 Click on the Hola extension and select from a country flag to view the blocked YouTube video using a proxy server. Within a few seconds, Hola will switch to a different proxy and reload the YouTube video. Voila, you show have access to the blocked YouTube video. In case the video is still blocked, try switching to a proxy server from another country. Not just YouTube, Hola can also help you to access many other blocked sites such as CBS, Hulu, Netflix..etc from your computer without the hassles of manually changing the proxy servers every now and then. In case you don’t want to use the Hola extension, here are some free YouTube proxy servers you can use to access blocked videos on YouTube.